You are brass processing and unknowingly run out of brass ? If any of these have happened to you, we have the fix ! 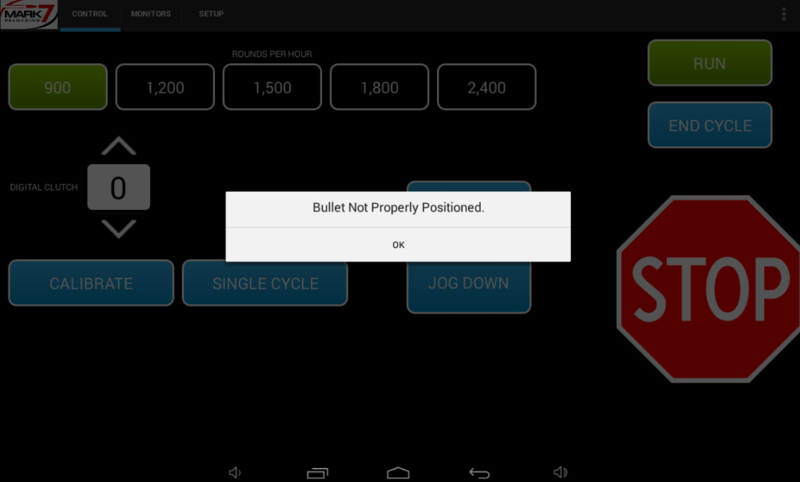 BulletSense® is the first electronic detection system that can stop your machine before any of the situations above impact your loading process. 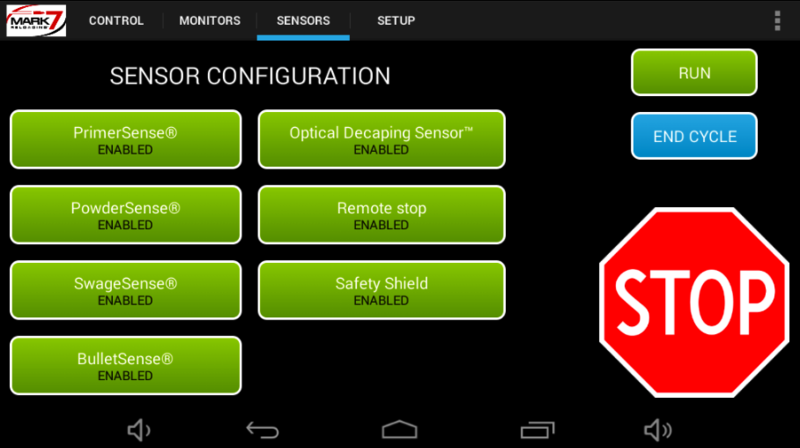 It also can act as a brass sensor. 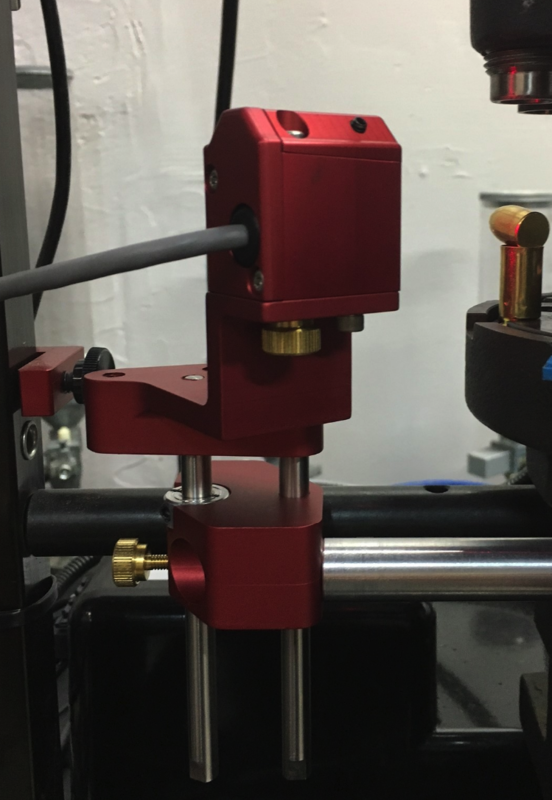 We've created a laser mounted system on a user-adjustable slider that allows you to point the laser right where you want it - at the tip of the bullet or directly on the brass. If the laser beam is interrupted every time your machine makes a stroke, the machine continues ( i.e. if a bullet head or brass is present). If the laser is bounced back from the mirror and the circuit completes, the machine stops at the top of the stroke. 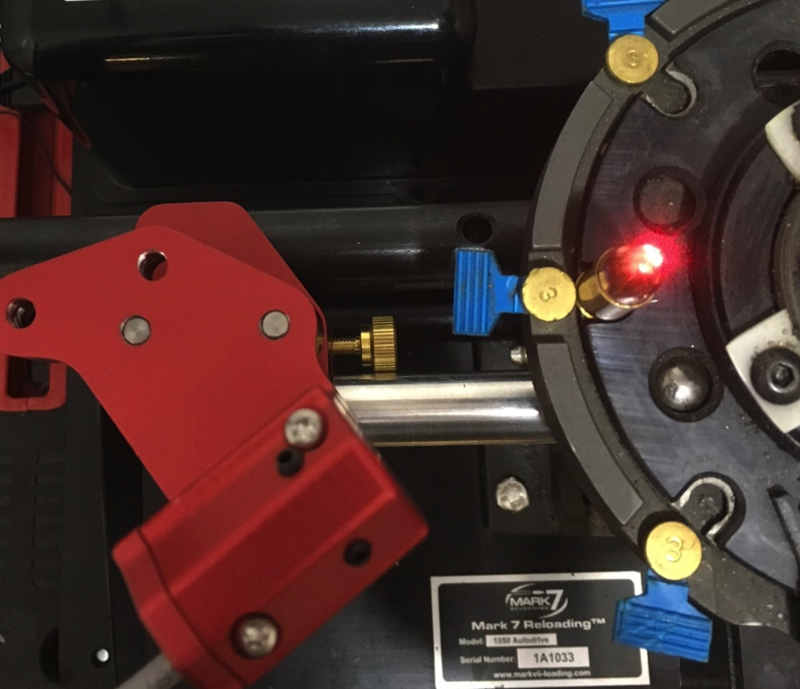 You determine the height of the laser, you are now more in control of the operation of your machine. The user-adjustable slider is operated through a traditional thumb screw. 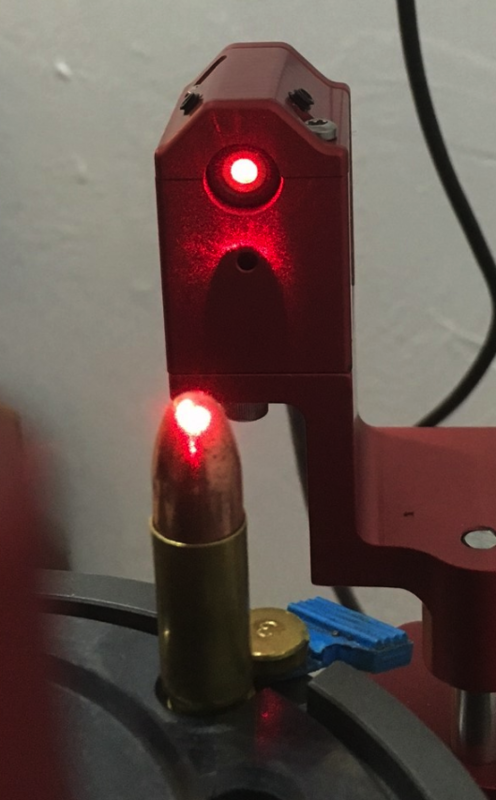 Precision laser with easy adjustments for different grain bullets and calibers ** Important to note that the precision of a laser in unmatched in this use -- it can even determine the difference between an upside-down bullet form a hollow point bullet ! This unit installs in moments with the included hardware - no modifications to your Dillon machine necessary. A must-have for people that want full protection from running out of bullets which can ruin your whole reloading session. Covered under the Mark 7® exclusive no BS warranty. Completely COMPATIBLE with PowderSense® and the Dillon Low Powder Check.